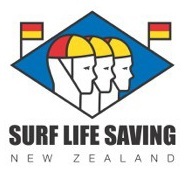 Water Safety New Zealand is calling for all Kiwis to stay water safe over Christmas and New Year during what is traditionally the highest period for preventable drowning fatalities. Currently the toll for 2017 is 13 ahead of 2016 and the early start to summer means Kiwis are already flocking to the water in their droves. The summer holiday period officially starts at 4.00pm Friday 22nd December and runs through to 6.00am Wednesday 3rd January 2017. Last year the holiday toll was 8, and for the last five years the average during this period is 7 preventable drowning fatalities. “Every one of these deaths is a tragedy for a family and a community” says Jonty Mills. “Tragically there has been a rise in under five drownings this year. Active adult supervision at all times is essential for toddlers and young children. It takes less than a minute for a child to drown” says Mills. Year to date figures indicate that of the 82 preventable drownings so far this year, almost 40% have been accidental immersions. “These are people who ended up in the water when they had no intention of doing so and highlights the need for people to be prepared and aware around water” says Jonty Mills. Original generation time 1.6261 seconds. Cache Loaded in: 0.0406 seconds.